Enjoy the colors, textures, and low-water nature of gorgeous cacti and succulents. They're ideal inside your home, as well as outside in garden beds and borders. Plus, they're perfect in containers on decks, patios, porches, and other outdoor spaces. Hi Gardening Enthusiast: Get Inspired Now! It's easy! 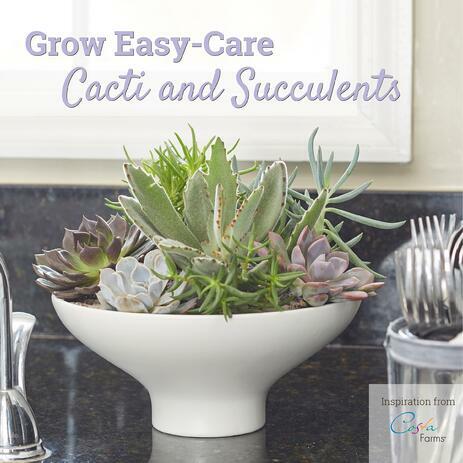 Just download our cacti and succulent book, and you'll immediately get access to tips from our experts on how to grow these beautiful plants indoors and out. Plus, our stylists share ideas for decorating with them! You'll have everything you need to grow cacti and succulents like a pro.